It was nice to be back in Guadalajara, the city where I studied university and which I also started working as a producer. Talking infront of a Public is always challenging for me as Im so used to be behind the scenes. But I like to share my experiences with others so I guess in that sense it was fun and giving to be there and to participate in this incredible network of inspiring people. Below you can find the whole conference in Spanish though. Maybe one day I get myself to make subtitles to it, until now... if you can...enjoy! I even created a play list for the occasion in case you need some inspiration to WORK IT! 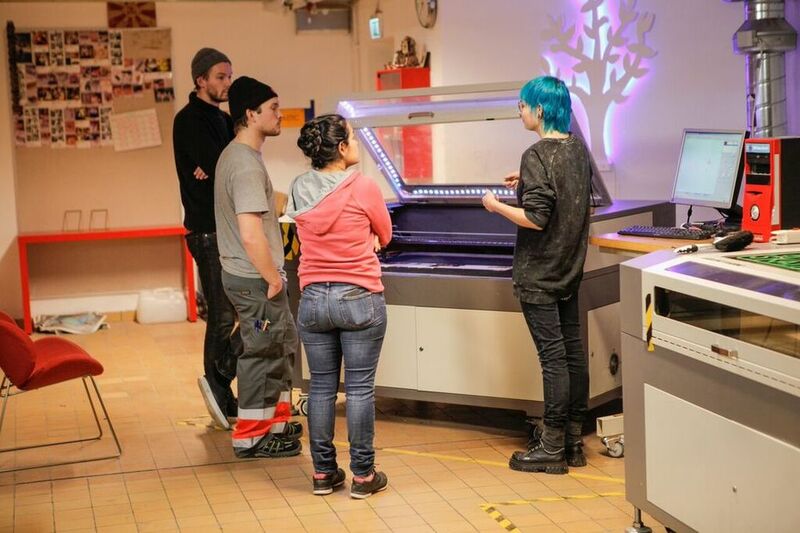 Fabriken is Sweden's first Makerspace, started as an experiment with a strong pull from Malmö University. In August 2013 we opened again after a period of renovation and with several new machines. Then we had also embarked on a unique partnership with the company Arduino Verkstad that helped us to continue to be first with the latest. Part of my work with the project was to lead the renovation and the changes made in the methodology of Fabriken. Since then we have worked as a membership based workshop where we teach our members how to use machines such as laser-cutter, 3D printer and CNC-Miller. We also create workshops where we mixed crafts and technology both for children and adults. As a project manager for Fabriken I get even to work with a fantastic team of people that are part of the development of Fabriken to become not Swedens first Makerspace, but the best! 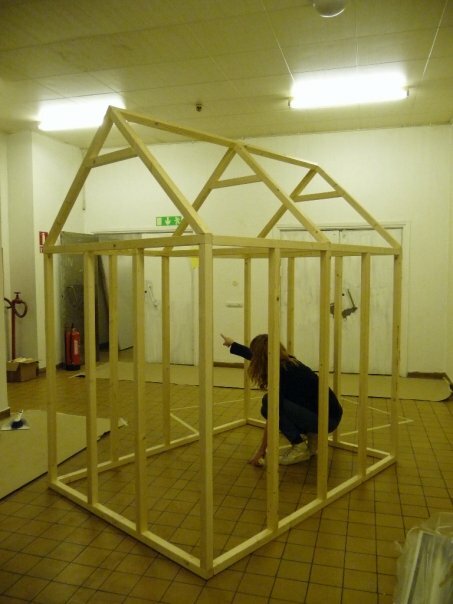 Do you remember when you were small and built your own little houses with pillows, cloth, your moms furniture, wood or anything else you could use to create your own little hut… or KOJA like you call it in Swedish. I went to Gothenburg with my colleague looking for inspiration. 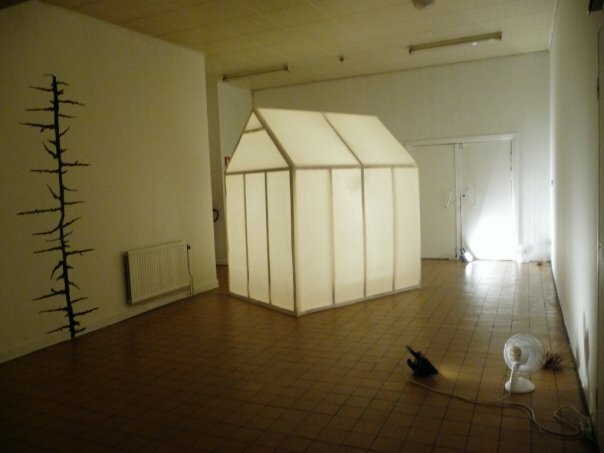 I found this gallery that was showing an exhibition about huts: “Come and see what people have built” When I get there I only see small photos on a white wall that people sent showing their huts. I got so disappointed so I thought I would make my own exhibition and invite some people to build their dream hut. We called it HEMMABYGGE (homemade). 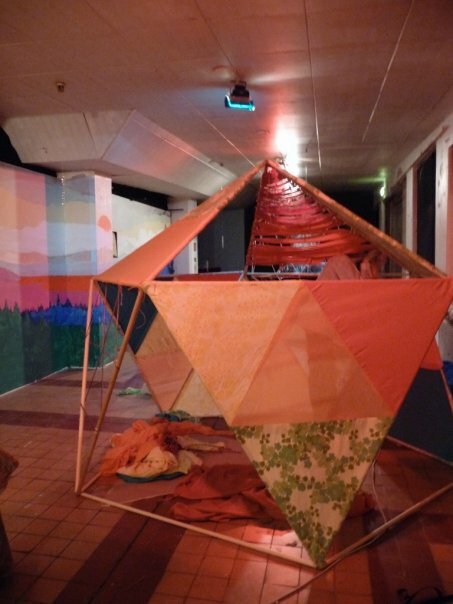 Around 24 artists, carpenters, designers, musicians and interactive designers from Malmo, Gothenburg and Stockholm were working with 10 projects. They had a few days to design and order the material they would need and they got one week to build their hut. We gave them also a small budget they managed themselves to buy other objects or special stuff that was not in the ordinary building material that we bought. Then the public could vote for their favorite hut, the winner would get a gift card to buy material and tools for future building. People worked day and night and they created really nice stuff, each hut had its own “personality”. The press coverage was excellent; we had TV and all the important newspapers from Malmo. The Swedish artist Vit Päls performed at the opening. The exhibition was open for a week and there was people constantly visiting in the whole time. This project was co-produced with my great friend, creative producer: Caroline Andersson. CAN YOU SEE THROUGH YOUT NOSE? Circo Ciego (Blind Circus) was a project created by soundmixer and artist Olga Cuéllar (RIP), in close collaboration with Sensorama. 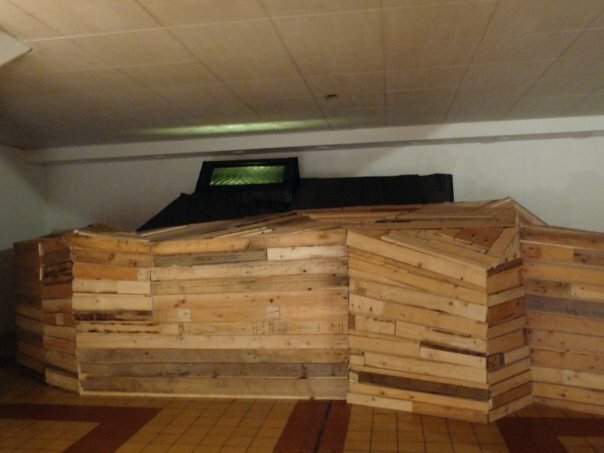 The project consisted in a multi-sensorial performance that stimulated the public’s experimentation through their senses. Combining coloured light, audio effects, vibrations, sensations and scents they created a journey where people have their chance to perceive and relate their surrounding using all their senses. My roll in Circo Ciego consisted basically in assist Cuellar in the production of the performance “Causa en Cauce” in Guadalajara. I travelled to Mexico City and together with Olga wrote a project plan that could be presented in my University where we wanted to make the first presentation during the “Communication Congress”. 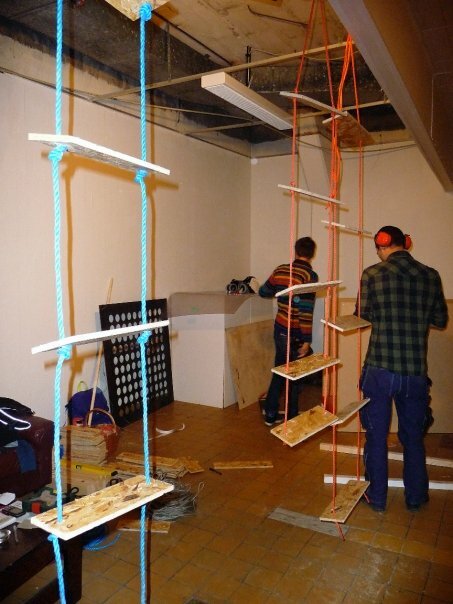 The project got accepted and my roll took a new form, and became production manager and took care of all the things needed to arrange the installations in order to present “Causa en Cause”. People got very interested for the project and Circo Ciego got after this presentation a new season at our university and also a presentation at El Trompo (children’s museum in Guadalajara) in year 2001. Working with Circo Ciego opened for me not only a new perspective in production, but also a window to the world where you can explore with all your senses. I got so inspired by this project that I wrote my thesis about “ The manifestation of non verbal communication processes during the performance Causa en Cause”. All what I learned during this process I keep on applying in my actual projects and coaching.